Ferrari California T Running Costs, MPG, Economy, Reliability, Safety | What Car? As with all Ferraris, if you’re worried about buying and running costs, you should probably be looking elsewhere. 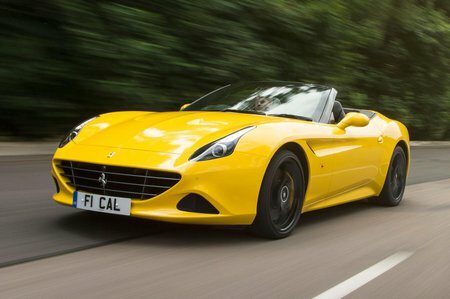 The California T is eye-wateringly expensive to buy with cash or finance, but that’s part and parcel of Ferrari ownership. Paying for its insurance, road tax, tyres, fuel and servicing require equally deep pockets. Relatively speaking, Ferrari's turbocharging of the California’s engine has at least made its fuel economy better than elsewhere in its range, and the standard 78-litre fuel tank means you won’t have to stop every ten minutes on your jaunts to southern France. We don’t have an reliability data for the California T, but at least Ferrari recognises that it might get a little old replacing its hugely expensive parts should they go wrong, no matter how wealthy you are. It therefore offers the chance to extended the California’s warranty up to a maximum of ten years. The Ferrari California T is a capable fast long distance cruiser, albeit not as agile as other prancing horses, but now a turbocharged engine means better economy.